Remember those rather kitsch ceramic flying ducks from the 1960s and 70s? Well, the idea has been reworked into the perfect style for nurseries. But they still have a sweet 70s edge – click through to find out more. 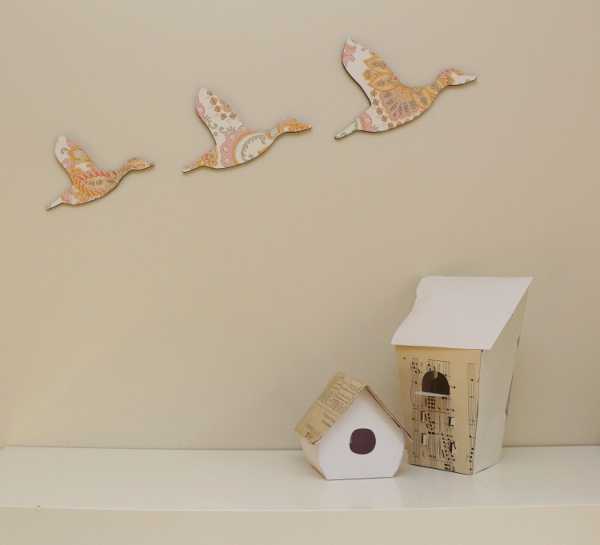 If you’re the type of decorator who’s non-committal ( like if the idea of actually wallpapering a feature wall in your child’s nursery makes you weak at the knees) this may just be the perfect decorator item for you. Designed and made in Australia, these sets of funky animals, decorated in retro wallpaper are a splash of colour, and darn good fun. 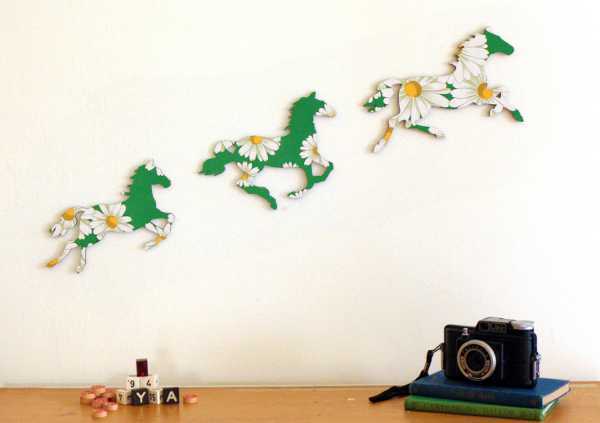 They come in three designs: Flying Ducks, Sunny Swallows and Wild Horse from Delilah Devine. 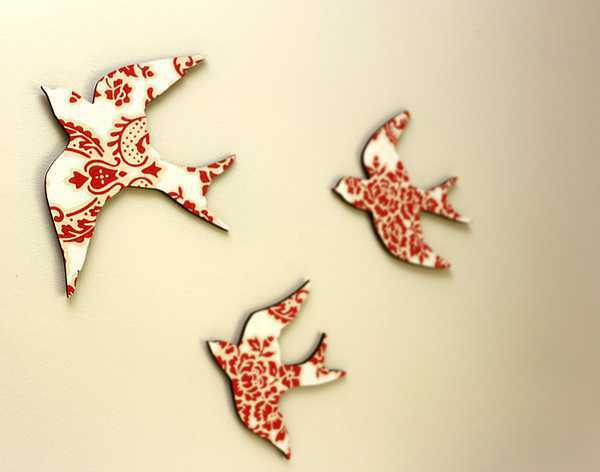 And the beauty of these pieces is you’re pretty much guaranteed a unique set – as they’re made in small runs using vintage wallpaper. 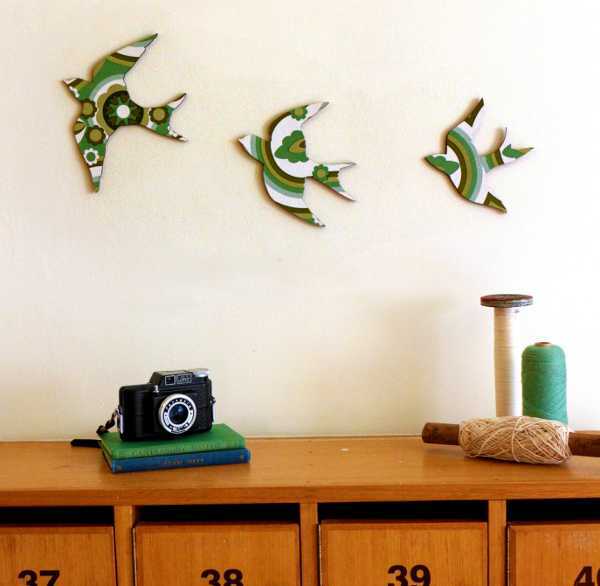 The animals are made by laser cutting Australian eco plywood before being covered in vintage wallpaper. They come ready to attach to a wall with “wall safe” adhesive tabs. 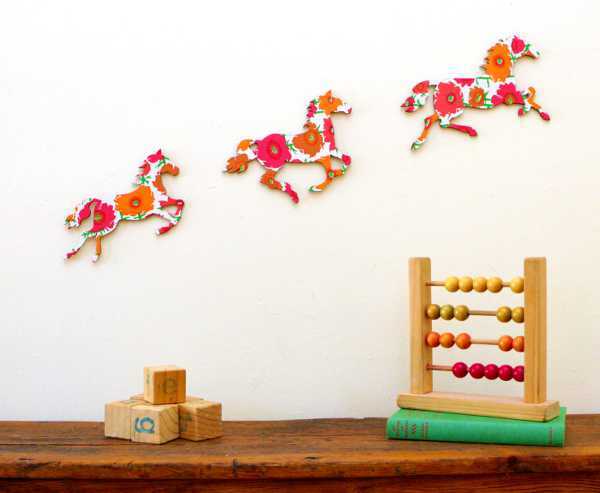 These make a great starting point for inspiration to decorate a nursery. They cost $58 for a set of three, and can be purchased directly from Delilah Devine.